People across the Tampa Bay area are stepping up and pitching in to help those impacted by the government shutdown. TARPON SPRINGS ,Fla. — People across the Tampa Bay area are stepping up and pitching in to help those impacted by the government shutdown. The founders of Fort Valor, in Tarpon Springs did its part Saturday. Fort Valor is a free veteran recreation and community center. They opened it to the public for a $15 fee to raise money for coast guard employees impacted by the partial government shutdown. Alessana Sakezles is one of the founders. She said they understand the feeling that many federal employees have right now. "It's horrible," she said. "Nobody should be expected to work and not get paid." They are planning to use the money to help as many coast guard employees as possible. "We know they're going to need help with rent and different living expenses," she said. "Just because the government is shutdown doesn't mean we don't have their back." 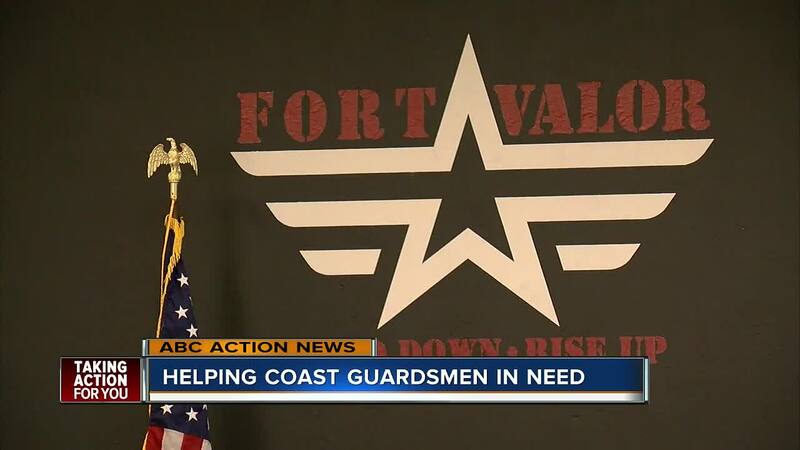 Even though Fort Valor is free for veterans, they were also asked to donate whatever they could. Max Vargas is a Navy Veteran. He signed up to volunteer. "I think this is great," said Vargas. If you are with the coast guard and in need right now you can apply to receive help from Fort Valor. To find out how to apply visit their website.